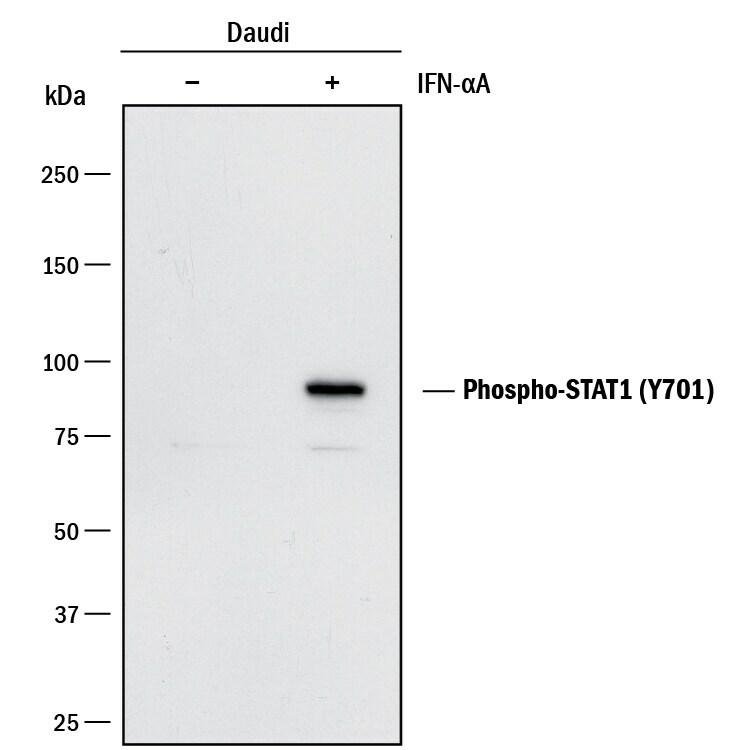 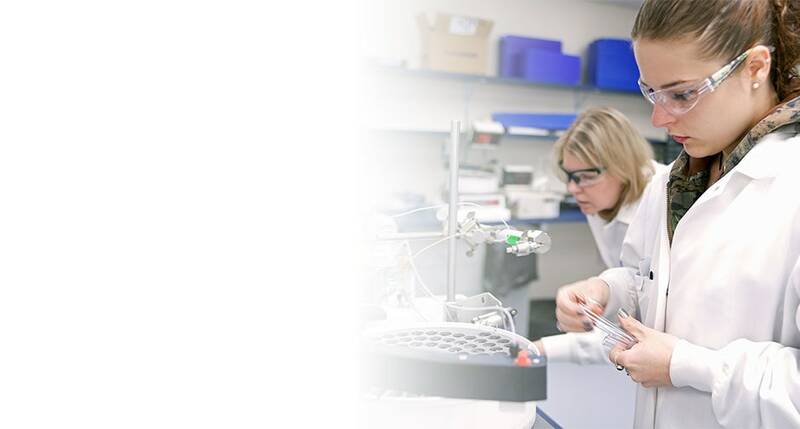 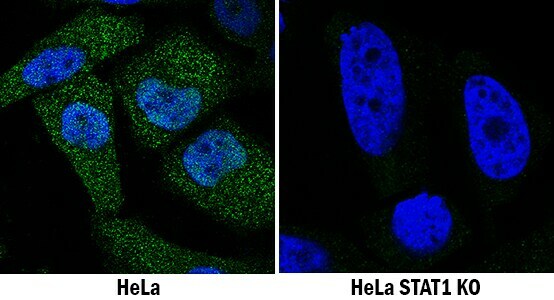 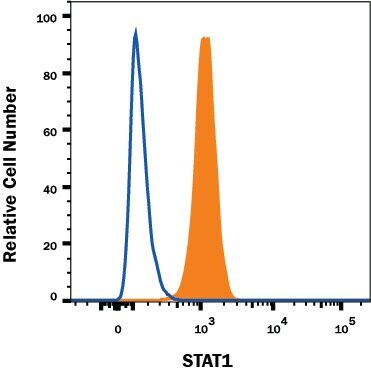 STAT1 is associated with type I and II interferon signaling. 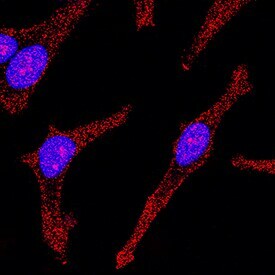 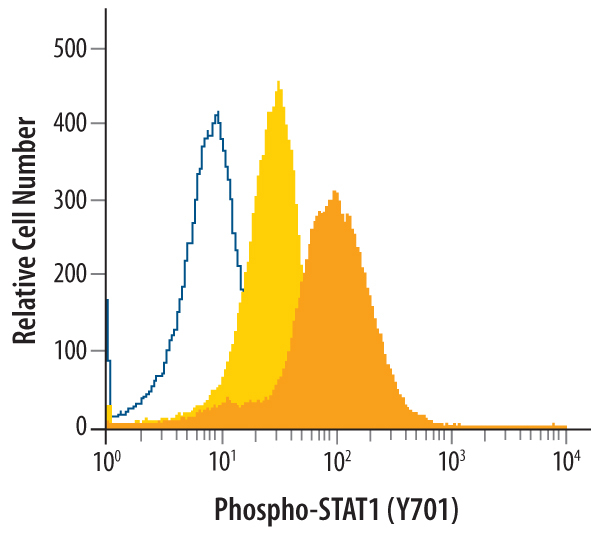 Phosphorylation of STAT1 at Y701 leads to dimerization and translocation to the nucleus to activate gene transcription. 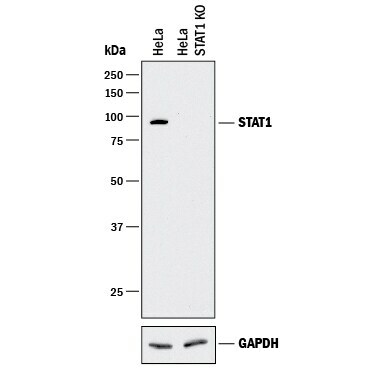 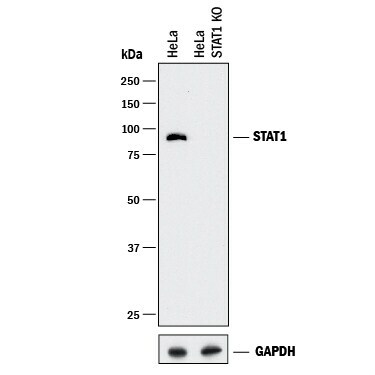 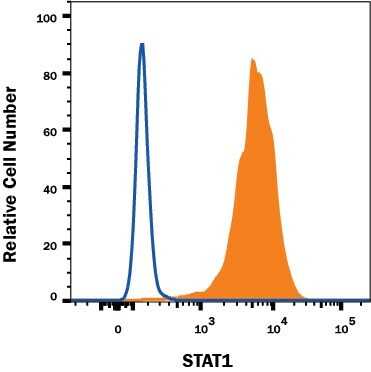 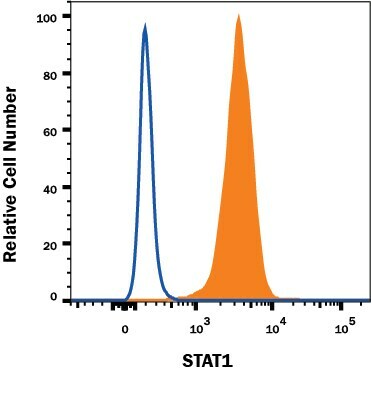 Human STAT1 shows 93% and 94% aa identity with mouse and rat STAT1, respectively, over the region used as an immunogen. 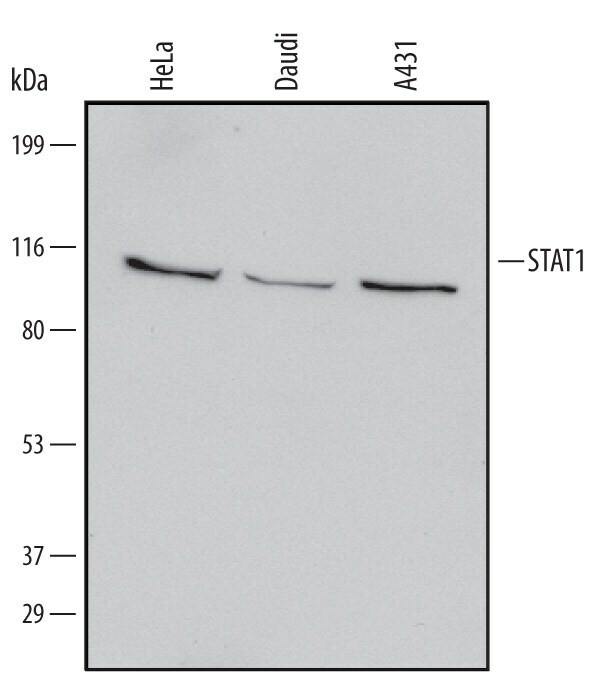 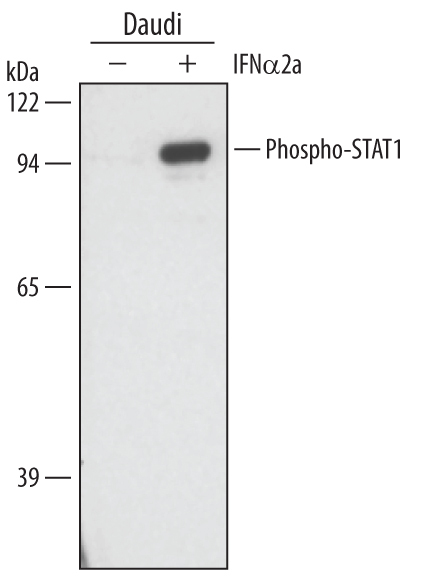 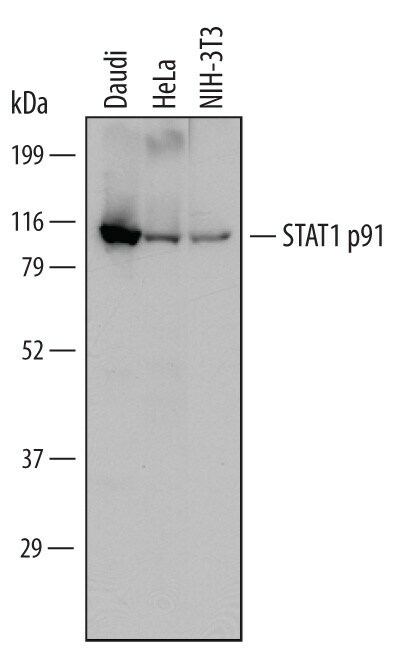 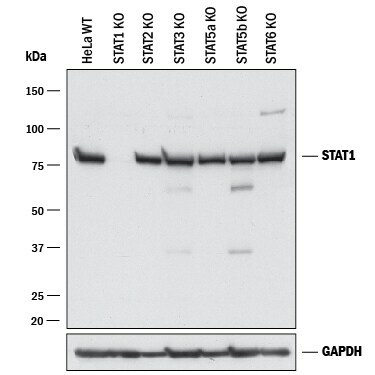 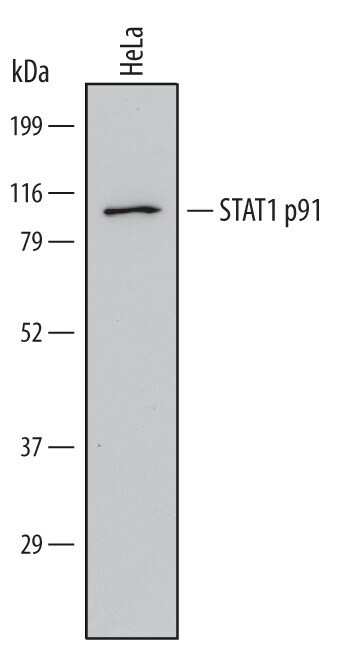 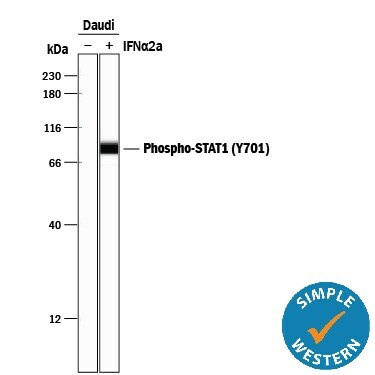 This region is identical between isoforms STAT1a (91 kDa) and STAT1b (84 kDa). 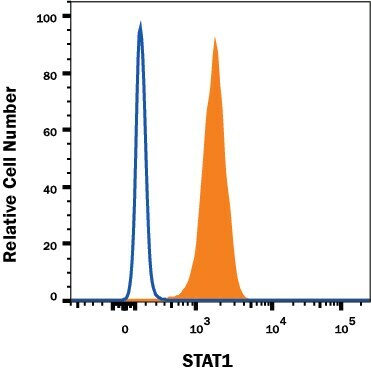 "STAT1" has 15 results in Products.